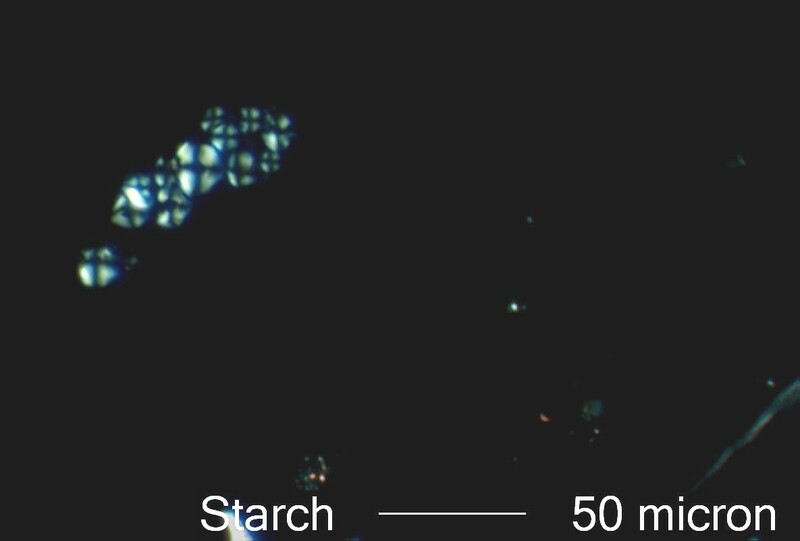 This is a cluster of corn starch grains viewed with crossed linear polarized light. The cross structure evident here is characteristic of all spherulitic particles. A spherulitic particle is one with a structure that is anisotropic and radially symmetric. All Starches are basically spherulitic. Many monoclinic and triclinic materials, both organic and inorganic, often grow as spherulites.